The father of this style, B. K. S. Iyengar (1918-2014) was a great teacher who dedicated his whole life to yoga right to the end. He was among the pivotal people who popularised yoga in the world. Thanks to him, millions of people have learned about this ancient Indian practice. When he was 14 years old, Iyengar was a disciple of the Indian yoga scholar, philosopher, scientist, and healer Tirumalai Krishnamacharya (1888-1989). He was already teaching at the age of 18 and, since the 1950s, after developing his own school based on classical Hatha-yoga, he began to actively teach yoga in Europe and the United States. In 1966, Iyengar wrote the book ‘Light on Yoga’, which became a worldwide bestseller, selling more than three million copies in 17 languages. Based on the ancient ‘yoga sutras’ by Patanjali, Iyengar elaborated on more than 200 asanas and some pranayamas. The book contains over 600 photographs of asanas performed by the author. Written almost a half-century later, ‘Light on Life’ is a book about yoga as a philosophical system, where physical practice comprises only one-eighth, but which is intended to form the basis of the overall yogic lifestyle. 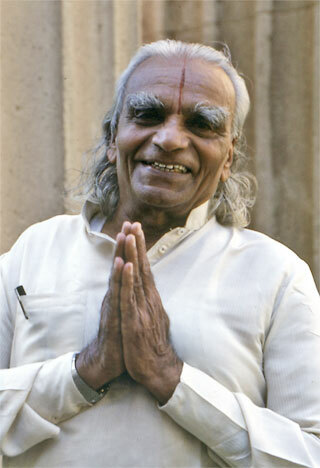 Here Iyengar speaks about his own journey into the world of yoga. He gives us a flower revealed by his own hands thanks to his incredible perseverance and endless dedication to his work. Iyengar Yoga has influenced virtually all of today’s existing styles, which is why yoga and Iyengar Yoga are synonymous for many people. The most important feature of Iyengar Yoga is exceptional attention to alignment in asanas. According to Iyengar, the anatomically accurate alignment of the body position is a prerequisite for ensuring the positive impact of the practice. The teacher takes a very active part in class: his regular instructions and adjustments for each student help to form the ideal asana. Of course, such a careful approach requires highly skilled teachers, which is why each one undergoes a serious training program and certification. Listen to your teacher and yourself! Iyengar himself was the first to have the idea to use yoga props. Blocks, bolsters, belts, chairs, etc. are great support in regards to alignment. They help to perform postures correctly and safely while holding them longer. Props allow your practice to progress gradually from the simple to the complex. For example, three bricks’ height means three levels of your trikonasana. This is especially true for beginners, seniors, and people with various physical limitations (illness, injury, etc.). This approach makes yoga open to everybody, regardless of their physical condition, age and experience. Feel free to use props but do not forget about making progress. Iyengar said that yoga develops from body discipline to the discipline of mind and spirit. The strength, endurance, stability, and flexibility of your body serve as a foundation for further improvement. The foundation’s construction includes a careful work-out of the entire body through asanas, the activation of weak parts and softening of hard places, and involving literally every muscle in the process. The powerful therapeutic effect, which you can see in all body systems, is just a side effect of asana practice. 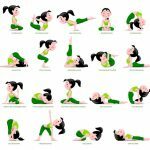 But it is specifically due to this side effect that Iyengar Yoga becomes in a line with yoga therapy, which is especially attractive for those who have come to yoga as a solution to their problems. 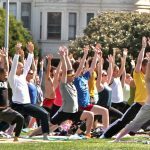 Iyengar yoga has one of the most accurate systems of instructor certification developed by Ramamani Iyengar Memorial Yoga Institute (RIMYI) in Pune. If you want to give Iyengar yoga lessons, you must first have a minimum of two years’ regular practice according to the Iyengar method under instruction of a certified instructor. Afterwards, you must attend a three-year training course for teachers. Upon finishing the training, you pass an exam in order to obtain the first level which is Introductory I. In fact, it’s a graduation exam without obtaining a certificate; having Introductory I level you may only assist other instructors. In one year you may pass an exam to obtain Introductory II level to finally become a certified Iyengar yoga instructor and get official approval to teach. As far as you enrich and improve your practice, you may pass exams moving you to higher levels. A minimum gap of one and a half years should be between exams. As you increase the level of your certification, it’s not just asanas and pranayamas that become more complicated, but the depth of your understanding of the subject and skill to teach other individuals are assessed, as well. The higher certificate level allows the instructor more official rights, such as hosting and assisting therapy classes, the right to run instructor courses, the right to examine and so on.